…for the sake of my girls. We were all surprised when their Father and his girlfriend showed up at our home today. My 16 year old had her final marching band highlights concert tonight and she is one of the drum majors. They came up to surprise her and attend this half-time highlights concert. 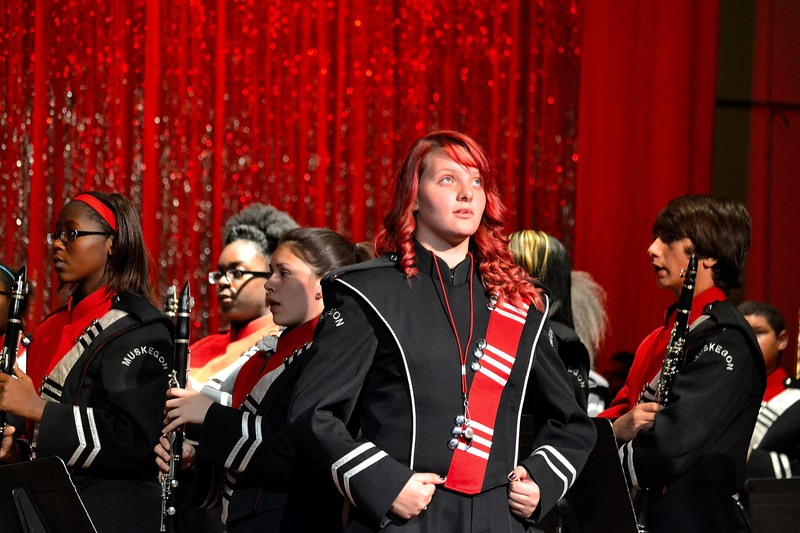 My beautiful 16 year old daughter and Drum Major for the marching band. I could not be more proud or blessed! So they took the 3 girls out to eat, and then went to the concert. My boyfriend and I sat next to them and we all had a good time. They were unsure if they would be staying at a hotel for the night or not, and would let me know. My boyfriend dropped me off at home, I turned on the radio, and finished cleaning the house, which is so much easier to do when there are no kids here! So the next message I get is from his girlfriend wanting to ask me a question…if they cannot find a hotel to stay in could they possibly stay on the floor for the night so they can spend time with the girls. I said yes, I did not have a problem with that. My girls would be heartbroken to not spend as much time with him as possible. In the end he decided he was not comfortable with it, but they did want to hang out with them for a while. So while I was in the kitchen doing my homework and editing some photos and book reviews, they were playing the WII and enjoying themselves. I was not pleased when the girlfriend finally got me alone and asked if they could take my 13 year old, Erin, for 2 weeks and then bring her back. She is my homeschooler, and thinks she would do better living with her father. I said absolutely not, she was not at a point where this type of adjustment, even for 2 weeks, would do her any good. So I did my good Mommy deed for the day, week, month, year, whatever 🙂 I honestly did not mind, and was very happy my girls got to spend some time with their dad and his girlfriend.